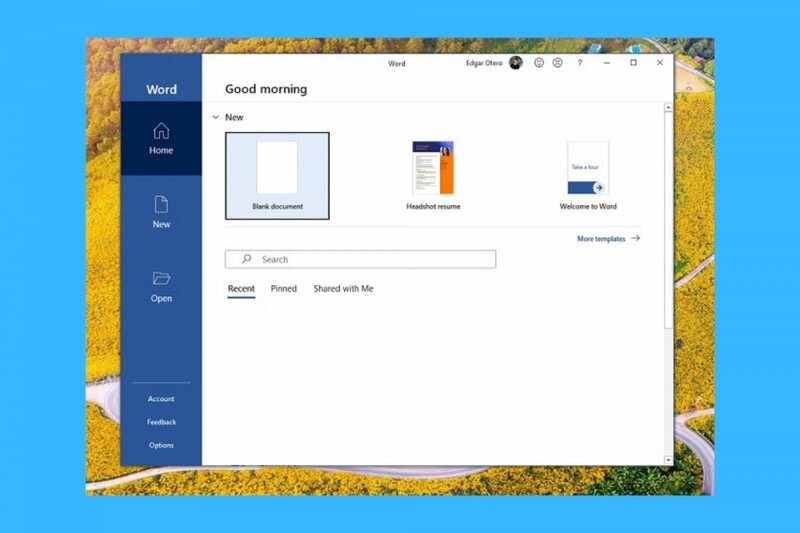 All Microsoft Word pages have three basic parts: the text area where we’ll write the text, the toolbar above the text and another bar below the text with zoom tool and the word counter, amongst other options. Once you open a new document, you can change the language if you wish by going to the bar at the bottom of the screen and choosing any of the languages compatible with the program. The toolbar above the document offers us nine different tabs to carry out all sorts of modifications to the style or format of the text, or to view, check, save or insert details. To be able to modify the type of font, paragraph or text style, you have to select the Home tab, which is the most basic and essential section to be able to work with this program. In the Insert tab you’ll find all sorts of options to add all kinds of contents to the text. You can include tables of different sizes, import images stored on your hard drive or online, insert charts, headings, and footers, comments… All the elements are categorized as Tables, Illustrations, Add-ins, Media, Links, Comments, Header and Footer, Text, and Symbols. In the Design tab you can choose between different styles and themes for the document. In the Layout tab you can configure the page or paragraphs. References is the perfect place to insert or modify all sorts of references about the text, whether tables of contents, footnotes, citations… Mailings is a tab focused on working with letters. Review is the part in charge of taking care of the spelling and grammar, and View allows you to define how you want to view the program on your screen.